In 2007, Seattle-area art collector Barney A. Ebsworth publicly promised 65 major artworks to Seattle Art Museum — including Edward Hopper's iconic "Chop Suey." But this week, Ebsworth's prized art collection is going up for auction at Christie's. How did that happen? Something strange is happening at Seattle Art Museum — or, rather, not happening. Dozens of pieces from a private art collection, worth hundreds of millions of dollars, once bound for the museum, are now headed to auction. 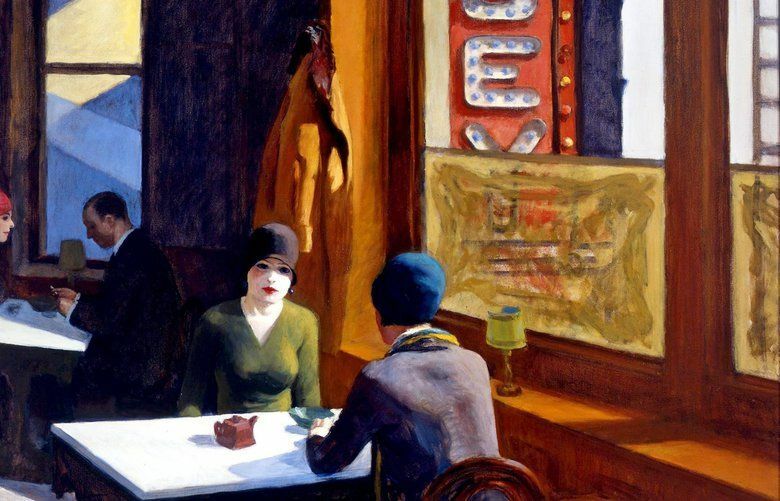 In 2007, Barney A. Ebsworth, a luxury-travel magnate and internationally known art collector, publicly promised 65 major artworks to Seattle Art Museum (SAM) — including Edward Hopper’s “Chop Suey,” a 1929 oil painting of two women talking closely in an upstairs New York restaurant. “For me, giving to your local museum is the right thing to do,” Ebsworth said to The Stranger at the time. 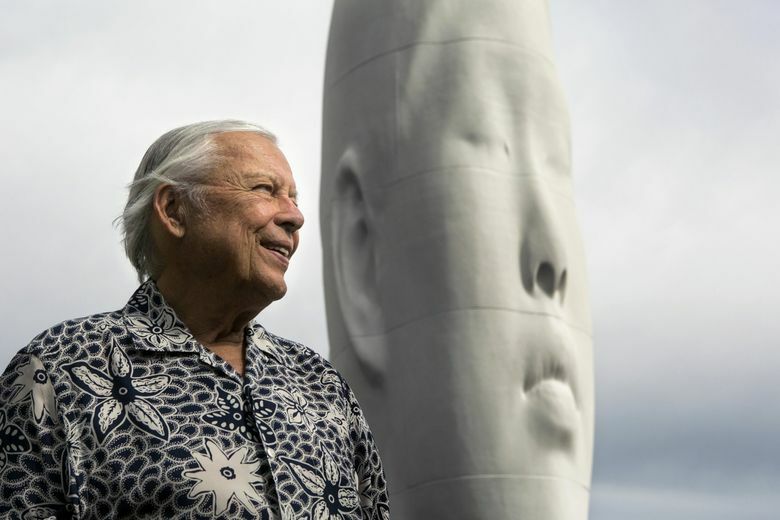 That year, Ebsworth and other local donors pledged an estimated $1 billion worth of art to celebrate three things: SAM’s big downtown expansion, the Olympic Sculpture Park and SAM’s 75th anniversary. “We’re thrilled,” then-SAM director Mimi Gates told The Seattle Times. Christie’s estimates the collection’s value at somewhere between $261 million and $364 million, with major works by Hopper, Jackson Pollock, Willem de Kooning, Georgia O’Keeffe and others. 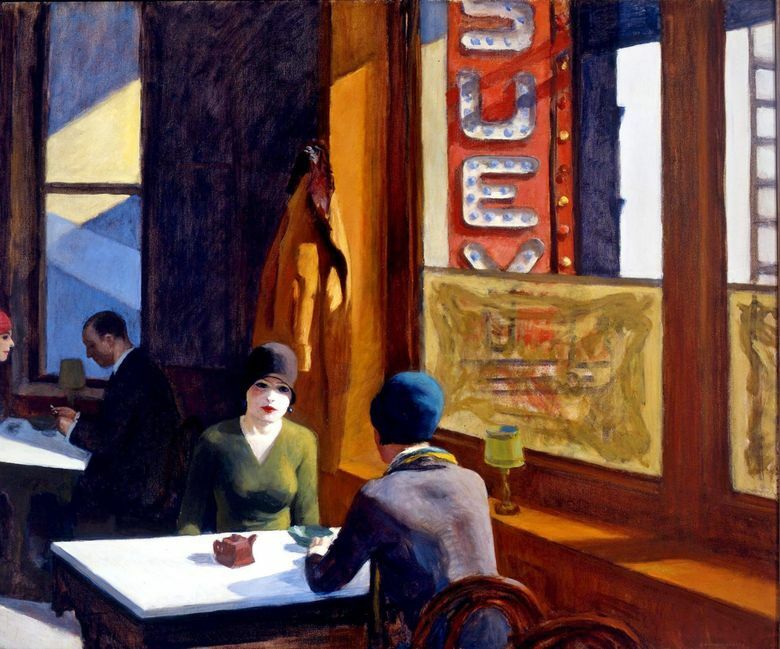 A Christie’s spokesperson called it “the most significant private collection of 20th-century American art ever to come to market.” Its crown jewel: Hopper’s “Chop Suey,” valued at $70 million-$100 million. To pump up the sale of the collection, the auction house has taken Ebsworth’s art on a grand tour — the Paris Biennale, London, Hong Kong — to tempt the eyes and wallets of the world’s wealthiest art-collecting elite. What happened? How did such a momentous, highly publicized bequest from Ebsworth’s internationally vaunted collection slip out from under SAM’s nose? SAM doesn’t want to talk about it. Current and former museum officials, as well as museum trustees, either spoke in vague appreciation of Ebsworth’s previous donations or declined to comment. Ebsworth’s five-page 2010 will offers few clues, stating only that his property belongs to the Barney A. Ebsworth Living Trust — living trusts are not subject to public scrutiny — with his sole child, daughter Christiane Ebsworth Ladd, as its executor. She did not respond to requests for comment. Nor did Ebsworth’s widow and most recent ex-spouse (he was married four times). What we do know: Instead of going to SAM, accessible to the public in perpetuity, the Ebsworth collection will be divided up and sold to the highest bidders. 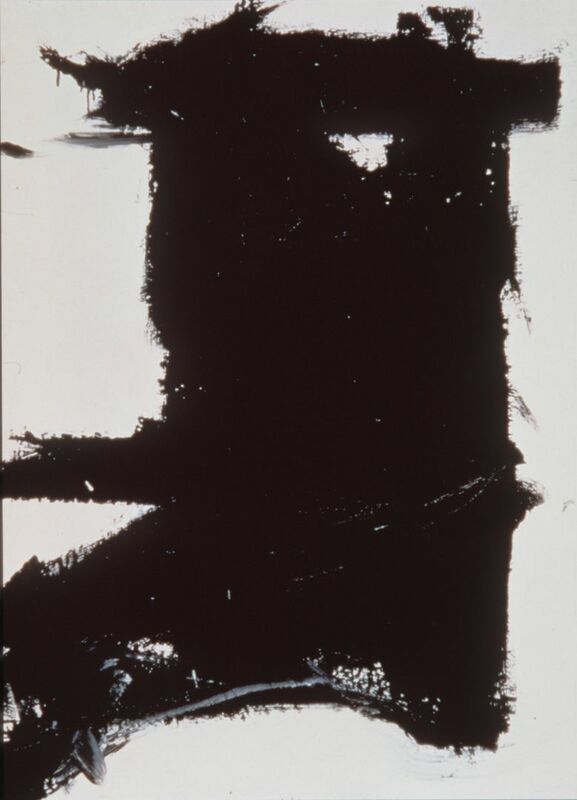 But Ebsworth’s Pollock and de Kooning, Oliver noted, aren’t just any old Pollock or de Kooning. They’re the good ones. Ebsworth grew up in St. Louis, built his fortune in the travel industry (Royal Cruise Lines, Clipper Cruise Lines) and was a significant early investor in Build-a-Bear Workshop. He moved to Seattle in 2003 — though he’d already joined SAM’s board in 2000, after the museum hosted “Twentieth Century American Art: The Ebsworth Collection,” an exhibition organized by the National Gallery of Art. 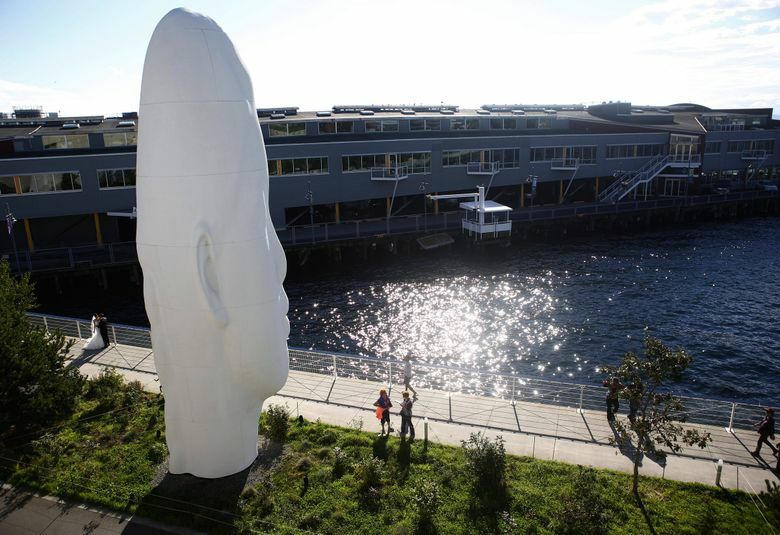 Ebsworth’s most visible gift to the museum came in 2013: “Echo,” an eerie, white, 46-foot-tall sculpture of a Greek nymph’s head by Spanish artist Jaume Plensa that looms near the entrance to the Olympic Sculpture Park. 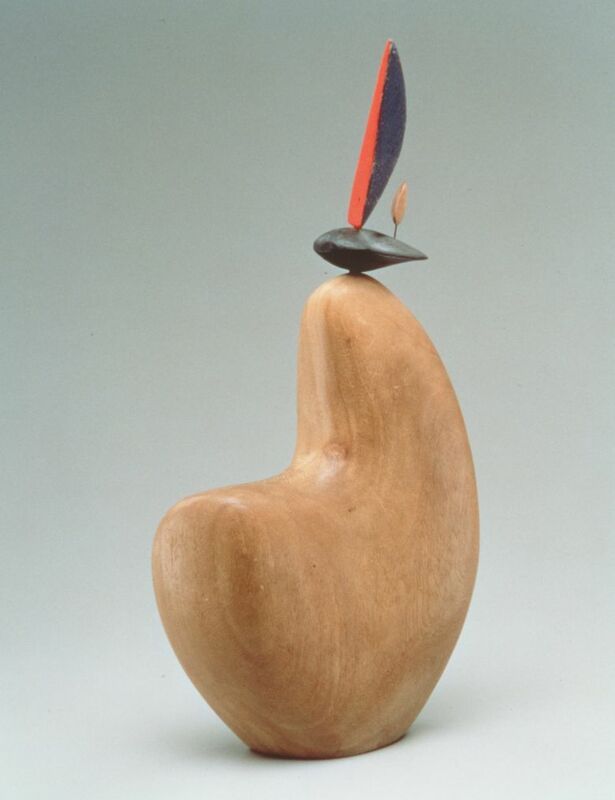 In interviews, Ebsworth said he found a passion for art in 1956 while stationed with the Army in France, where he regularly visited the Louvre. His first love was the Old Masters. But in the early 1970s, as he started building a serious art collection, Ebsworth turned toward American modernists (including Hopper and O’Keeffe) because those were works he could afford. Eventually, he amassed a marquee collection and hired well-known local architect Jim Olson to build a house in Hunts Point just to showcase it. Ebsworth named his home “An American Place.” You’d go hoarse trying to name all the canonical artists whose work hung on its walls. In 2007, the year of his big promise to SAM, Ebsworth told ARTnews that he always intended for his collection to stay together and go to a museum. That year, he also said SAM’s new downtown footprint could finally accommodate his art. “With the expansion, now there is space,” he said to The Seattle Times — and added that with so few modernist masterpieces left on the market, his collection was more valuable than ever. By that time, Ebsworth had been actively involved with museums across the country, including in Seattle, St. Louis, Honolulu, New York and Washington, D.C., as a board member and donor. In that same interview, almost exactly a year before he died, Ebsworth was cagey about the future of his art collection. “That has never been announced,” he said, contradicting several public statements he’d made over the years. So what happened between Ebsworth’s big promise of 2007 and 2017, when it sounded like he was having reservations? Interviews with SAM director Kimerly Rorschach and board president Stewart Landefeld (a partner at Perkins Coie law firm, which has represented Ebsworth’s daughter and his living trust, the legal umbrella covering all his property) kept looping back to talking points. Former SAM director Gates didn’t respond to requests for comment. Patricia Junker, SAM’s curator of American art between 2004 and 2018, declined to comment. Most of the museum’s trustees either declined to comment, didn’t respond to requests for comment, or referred questions back to Rorschach, who referred to her statement and board president Landefeld, who referred back to Rorschach. For what it’s worth, SAM receives subsidies from the City of Seattle, including the backing of $60 million in bonds the museum issued to finance its downtown expansion, $19 million in city funds slated to help pay for SAM’s expansion of the Seattle Asian Art Museum in Volunteer Park and at least $132,000 per year over the past three years from the city’s Office of Arts & Culture. That won’t buy the city a Hopper. But it should be worth at least a few answers. James Burns, chair of the curators committee at the American Alliance of Museums, said he’s seen promised gifts fall through during his career, but never at this public scale. Perhaps SAM failed to wrangle Ebsworth’s promise in writing. Or maybe Ebsworth signed a promise but had a falling-out with the museum and changed his mind. Alternatively, SAM and Ebsworth may have quietly decided the museum would swap the 65 artworks for a cut of their sale. Or SAM might have successfully wrangled a promise in writing, but Ebsworth (or his heirs) simply decided to sell the art because the family needed the money — and it would be bad PR for a museum to sue a bereaved family for artworks a wealthy patriarch had promised when he was alive. Virginia Wright — a longtime Seattle philanthropist, art collector and SAM trustee — took a sanguine attitude about Seattle’s loss to Christie’s.